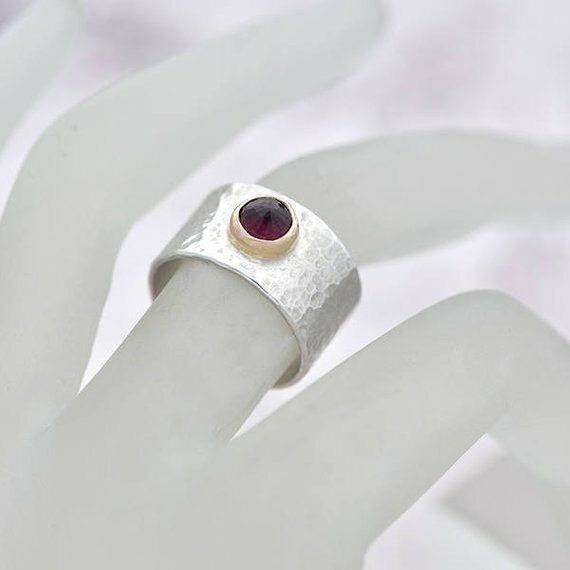 Garnet Ring Size N – A handmade textured ring in sterling silver ring, textured with a faceted rich red Garnet, set inverted in a collet of 9ct gold. * Handmade to order – You’ll receive your own ring, like the one shown in the photos. * Boxed, ready for gift wrapping. We enclose a card and/or a message upon request.